Designers are tasked with solving problems that plague us all every day. 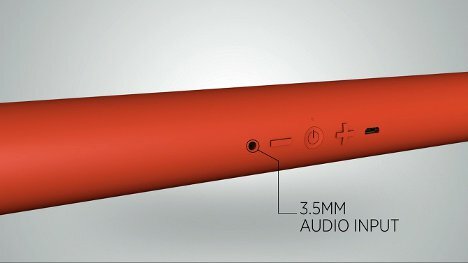 Portland, Oregon-based design studio New did that in fantastic form with their wireless Zooka speaker. 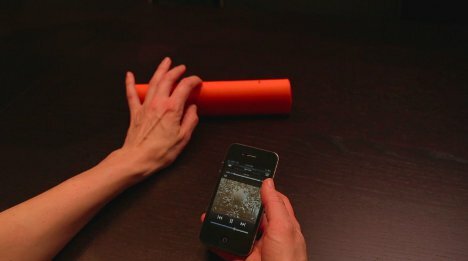 Zooka is a simple-looking device that increases the sound output from your tablet, smartphone or laptop to about five times that of the built-in speakers. It’s controlled via just a few simple, intuitive buttons. 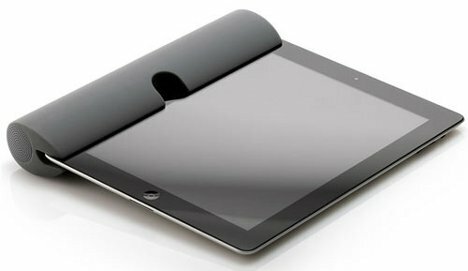 The speaker is made of medical-grade silicon and features a groove in one side to allow it to slide right onto your iPad or laptop. The speaker is too long to comfortably fit on a smartphone, but it can easily be placed on a table or even carried in a pocket and used just the same. There is a small cutout in the silicon to allow normal use of your device’s camera. 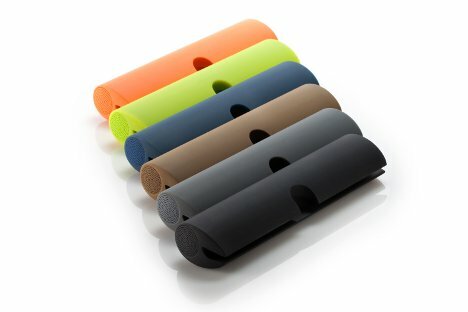 The Zooka is soft so that it won’t scratch up your expensive playthings and tough so that you can use it without worrying that it will conk out if you aren’t the gentlest user. 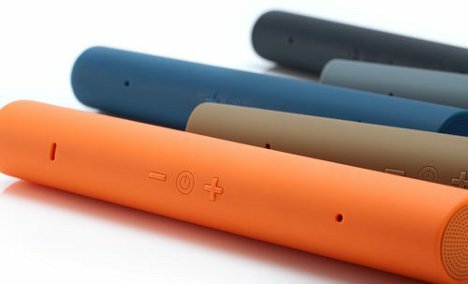 Zooka’s battery lasts for 8 hours on a single charge. If your device doesn’t have Bluetooth, you can just use the 3.5mm audio input to connect to the speaker. In a market flooded with iDevice-specific gadgets, it’s great to see an accessory that can be used with any tablet, phone or laptop. However, the size is perfect for an iPad and even props it up a bit for easier typing and video viewing. See more in Audio & TV or under Gadgets. March, 2012.